WALLA WALLA, Wash. – A year ago, Abeja winery owners Ken and Ginger Harrison opened the gate to their iconic wine country inn to help winemakers Myles Anderson and Gordy Venneri celebrate their sale of nearby Walla Walla Vintners. Today, the Harrisons will announce the sale of majority interest in both the winery and the inn at Abeja. Seattle businessman Arnie Prentice becomes their partner in the winery. John Oppenheimer, founder and CEO of Seattle-based Columbia Hospitality, has become majority owner of the inn. The Harrisons, who will remain part of the ownership team and stay involved in the winery, noted that the husband/wife winemaking team of Daniel Wampfler and Amy Alvarez-Wampfler, as well as longtime innkeeper/chef Mary Besbris, will be retained. Great Northwest Wine learned of the sales in advance of today’s announcement. Financial terms of the transactions were not disclosed. Prentice, who co-founded insurance brokerage Kibble & Prentice in Seattle, is a founding board member of Long Shadows Vintners in Walla Walla. 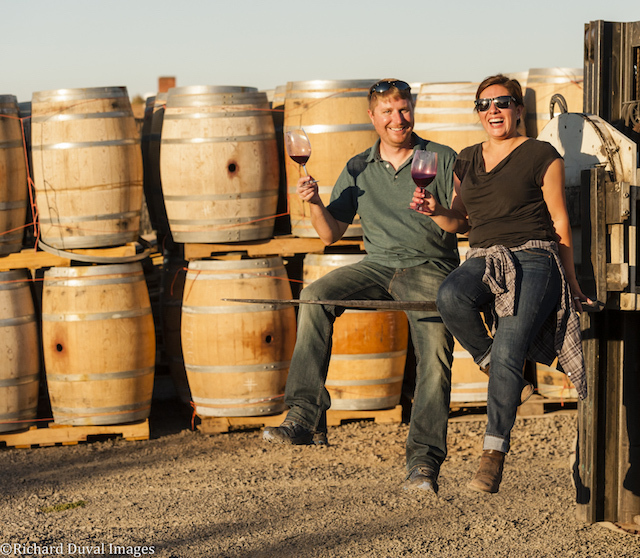 Long Shadows Vintners recently was named 2018 Pacific Northwest Winery of the Year by Wine Press Northwest magazine in Kennewick, Wash.
Columbia Hospitality will oversee management and operations on behalf of the ownership team acquiring the boutique inn. The Salish Lodge & Spa in Snoqualmie, Friday Harbor House on San Juan Island and the historic Knob Hill Inn in Sun Valley are among the luxury destinations across six Western states for Seattle-based Columbia Hospitality. The sale of the inn prompted the creation of The Inn at Abeja Vineyards, LLC, which includes the Harrisons, Prentice and Oppenheimer. Prentice brought on several silent partners for the winery transaction, and he’s also minority owner in the inn. 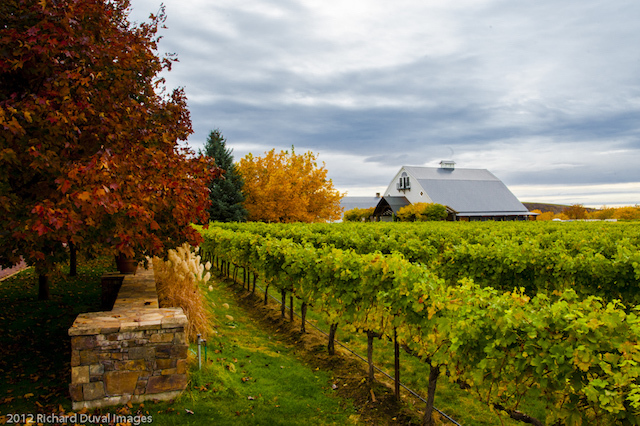 Under the new agreement, the winery will retain control of its two vineyards — 18-acre Heather Hill at the south end of the Walla Walla Valley in Milton-Freewater, Ore., and the 12-acre Mill Creek Road planting that frames a portion of the 38-acre Abeja estate. The Harrisons established Abeja in 2000 after buying the Mill Creek Inn and its surrounding century farm. They worked early on with Napa winemaking consultant Zelma Long prior to hiring John Abbott, who developed Abeja’s cult-like reputation for award-winning Cabernet Sauvignon, Chardonnay and Merlot. Abbott, an Oregon State University grad, resigned at Abeja following the 2015 crush to focus on making wine in the Willamette Valley under the Devona brand he shares with his wife, Molly Galt. Oppenheimer created Columbia Hospitality in 1995, and the company plans to open six new hotels within the next two years, including one in Montana, stretching its hotel portfolio to 23. The Inn at Abeja becomes Columbia Hospitality’s 11th hotel in Washington state. Overall, Oppenheimer’s team manages more than 40 properties, which include the Bell Harbor International Conference Center and golf courses such as McCormick Woods. They’ve been involved in more than 100 hospitality projects worldwide.